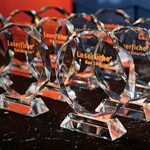 Laserfiche has announced the winners of its annual Run Smarter® Awards program, including four school districts. Austin Independent School District educates approximately 85,000 students across 129 diverse school communities in Austin, Texas. It uses Laserfiche to manage as many as 15,000 active special education folders per year. This expedites access to information, reduces document loss and improves student records confidentiality. Edgewood Independent School District (ISD) in Texas has used Laserfiche Forms to convert more than 200 paper forms into electronic forms. The initiative saves time and streamlines processes across the district’s 20 campuses, 1,800 employees and 12,000 students. “The paperless processes we’ve built in Laserfiche are logical, efficient and cost-effective, which is why the entire school district has embraced them,” said Adam Galvan, Technology Director at Edgewood ISD. Idaho Falls School District No. 91 uses Laserfiche to automate 22 business processes, including employee evaluations, workers compensation and physician referrals. As a result, the district has decreased processing time from weeks to days.